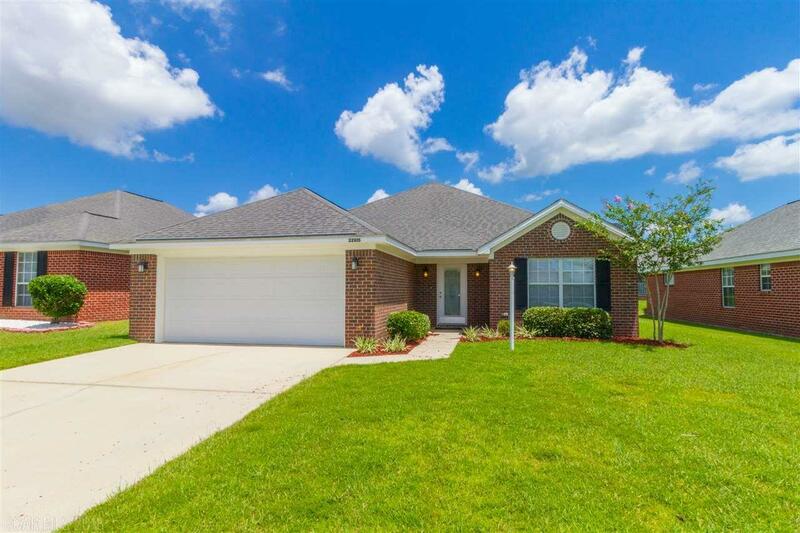 This beautifully maintained brick home offers spacious living in one of Foley's most popular neighborhoods. A must see! Large living area, split floor plan, spacious dining area, kitchen with pantry, and open patio. Lots of neighborhood amenities, including a Club House, an outdoor pool and a Lakeside pier and Gazebo. Conveniently located close to The Tanger Outlet for shopping, the Foley Beach Express for quick access to the Gulf Beach and Pensacola. Perfect home or second home.